For two decades, Dr. Isaac Rabino, SUNY Distinguished Service Professor at Empire State College, State University of New York, has extensively surveyed U.S. and European physicians and academic, government, and industry scientists about such controversial issues as the bioengineering of food, stem cell research, cloning, and genetic databases, in order to gauge the attitudes of the researchers themselves about the impact of their groundbreaking research on public policy and society—and the impact of society on their work. A professor of biological and health sciences at the college’s Metropolitan Center in New York City since 1985, Dr. Rabino’s research focuses on the societal, ethical and policy implications of genetic engineering, and its local, regional, statewide, national and international impact. Dr. Rabino also teaches a course in genetics and society at Empire State College, and sponsors an annual symposium focusing on science policy drawing upon experts in the environmental, health and public policy spheres. Dr. Rabino has been endorsed in his studies by the American Society of Human Genetics (ASHG); The American Society for Microbiology; the European Community in Brussels; and The European Molecular Biology Organization at Heidelberg, Germany. The results of his surveys conducted in the U.S. and Europe have been widely published in academic and scientific journals, and presented in relevant meetings in the U.S. and Europe. 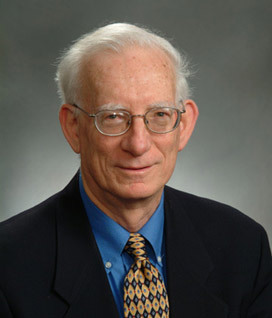 Dr. Rabino was born in Israel in 1938. He received his Ph.D. in cellular and developmental biology from SUNY Stony Brook in 1976. 1962: B.Sc. Hebrew University, The Faculty of Agriculture, Rehovot, Israel. 1965: M.S. Cornell University, College of Agriculture and Life Sciences. 1982: SUNY Baruch College, Assistant Professor in Biology, Department of Natural Sciences After joining Empire State College in 1985 as professor of biological and health sciences, he was awarded the rank of full professor in September of 1997. He recently was promoted to the rank of Distinguished Faculty, the State University’s highest faculty designation. In 1996, Dr. Rabino received the Empire State College award for Excellence in Scholarship. Dr. Rabino resides in Long Island, NY. with his family.